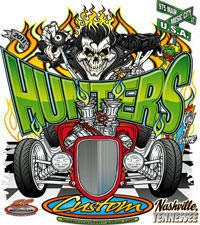 Hunter’s Auto Expo 2011 was held on March 12th and 13th at the Tennessee State Fairgrounds in Nashville. Among the approximate 200 classic and custom cars, street rods and trucks were 12 locals from Woodbury. Showcased in the newly named “Smithson Hall” were various displays featuring classic cars and trucks of Jimmy Alexander (’70 Nova), WJ Freeze (’65 Malibu SS race car), Jacky Gannon (’99 Mustang Cobra), Gayle Parker (’92 Chevy trk), Anthony Rogers (’69 Camaro), Greg Rogers (’05 Corvette), Steve Smith (’65 Corvette), Arna Smithson (’92 “One Bad Apple” Chevy trk), Tony & Bill Sparkman (’02 S-10 Chevy trk), Windol Tate (’04 Corvette), JC & Brian Young (’67 Ford trk) and Pat Young (’05 Shelby Mustang). The group managed to win several plaques and trophies for their classes and show. Several of these same vehicles also participate in other car shows, cruise-ins and “The Color of Fall Car Show” in Woodbury.